1-year-old Karthik is the only son of Bhakthavachalam and Vani. He is the apple of their eyes. Like any other parents, they wished to raise him a healthy and happy child. Despite their extreme poverty, they were determined to give him the best. Unexpectedly, he developed a brain infection that has worsened. He is fighting for his life now. Karthik had health no problems until 20 days ago. It started with a fever that the parents thought would subside in a few days. Instead, Karthik became unconscious and started getting seizures. His parents rushed him to the hospital in a critical condition. The doctor told them to take him to a hospital in Chennai instead. 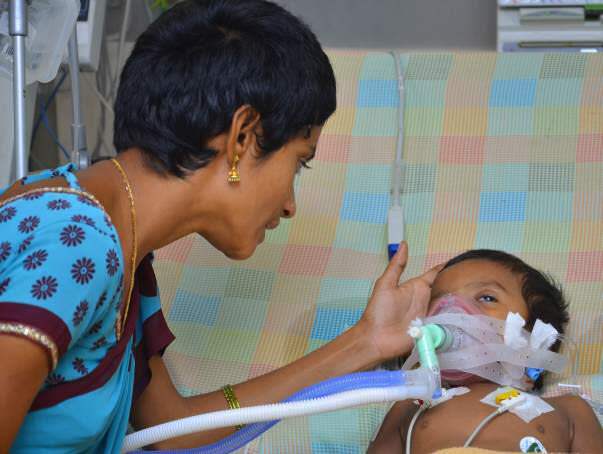 Little Karthik had repeated seizures and was unconscious. He was found to have an advanced brain infection. Vani and Bhakthavchalam were devastated. They never expected that his condition would be so serious. They are pained to see their baby battling for life. "I can never forget the day he got his first seizures. Just 30 minutes earlier he was giggling and playing, suddenly he got seizures. His arms and legs stiffened, his body was bending forward. We were completely lost. Since then he got many seizures but we are still watching him helplessly". - Bhakthavachalam. Bhakthavachalam and Vani are from Kotha Veerapuram, a village in Chittoor district, Andhra Pradesh. They have come all the way to Chennai for the treatment. They have spent everything they had and borrowing money little by little every day to pay the medical bills. Karthik is in ICU and parents are not allowed to stay there. While they are struggling to have 3 square meals they cannot imagine renting a room. 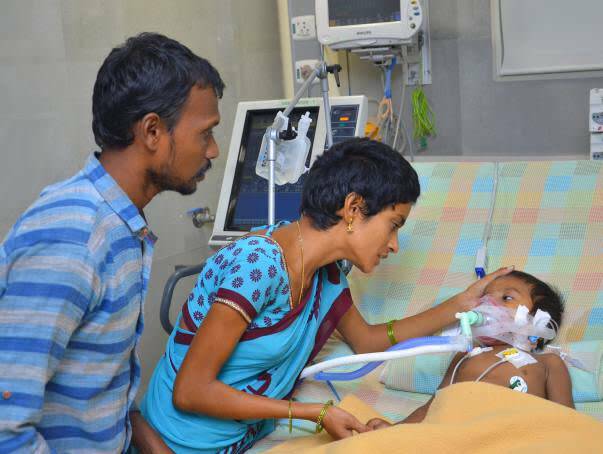 It has been 17 days since Karthik is admitted and parents are staying at the entrance of the hospital. 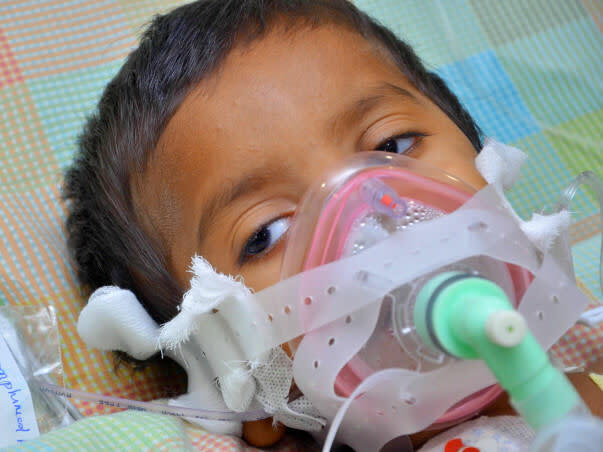 Karthik needs intensive treatment to control seizures and recover completely from the infection. Doctors are extremely helpful yet Vani and Bhakthvachalam are concerned about the long-pending medical bills. They are already neck deep in debts. They are skipping their meal, saving every penny they get yet running short of funds. "We don't have a single rupee in hand, I can't imagine taking him back home without giving him treatment. We don't even have anyone to console us. Both of us have lost our strength. We are begging everyone to save our son. He is my world." - Vani. 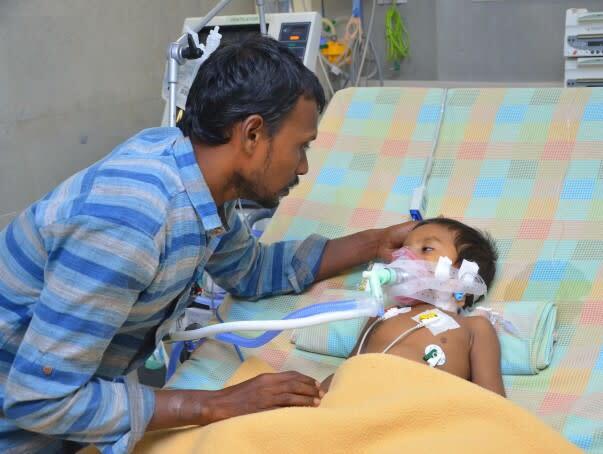 Karthik was unconscious for a week, now he has regained his conscious but he cannot stand and has become too weak. He needs further treatment to get better. His parents are in constant fear and guilt that they might have to take him back home if they don't pay the bills. His medicine expenses ar mounting up, they have to spend 15- 50 k every day. 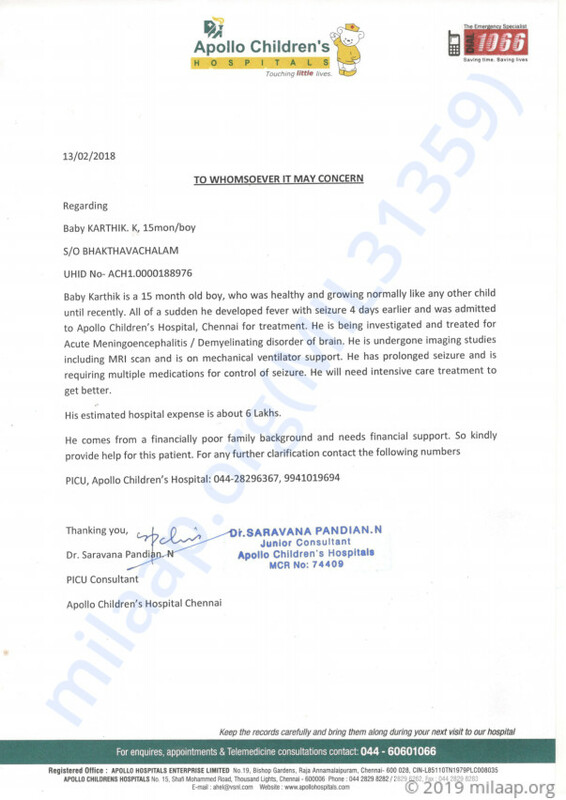 Karthik has a good chance of complete recovery if the treatment is continued. 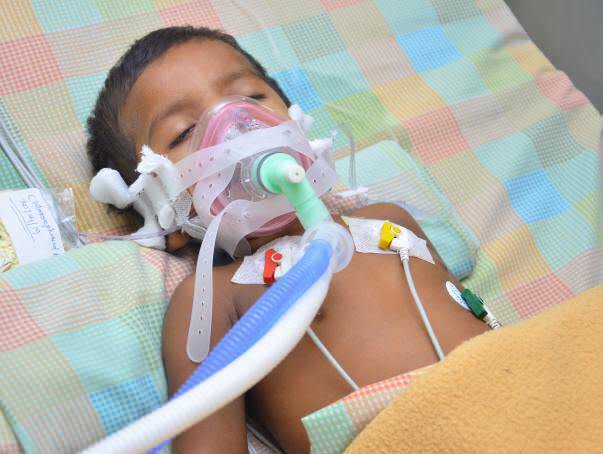 The little boy is struggling a lot and his parents are desperate to save him at any cost. They have already spent Rs 5lakhs. They need Rs 6 lakhs more to continue the treatment. Only your support can save his life. Thank you for the support that you have shown towards my Nephew Karthik. He is doing better now compared to earlier and is on medication. His fits and seizures have reduced compared to earlier but the doctors suggest that he will take some more time to recover completely. Thank you all once again for all the love and support that you have shown towards Karthik. Please do pray for his health and speedy recovery. Will keep you posted.